Dimensional metrology software supports a wide range of industries in manufacturing their products with accuracy. Dimensional accuracy helps in increasing customer satisfaction as well as the shelf-life of the products. The incorporation of many advanced technologies into dimensional metrology helps the manufacturers to maintain the quality and standards of their products. Thus, many manufacturing industries are using dimensional metrology software in order to offer high-quality products. 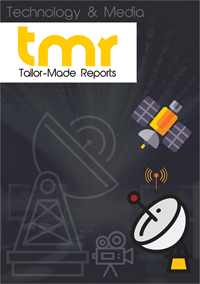 An upcoming report on the global dimensional metrology software market by TMR Research could be a valuable source of information for major stakeholders in the market. The report offer a brilliant study of the market with its focus on market dynamics, segmentation, and geographical outreach. It could prove to be a useful guideline for players wanting to cement their position in the global dimensional metrology software market. Many manufacturing industries are adopting the automated coordinate measuring machines (CMMs) in order to inspect the standards of their products. Growing demand for CMMs to ensure the quality of manufactured product at the time of product development is believed to be driving the global dimensional metrology software market. Dimensional metrology software is widely adopted in the industries such as automotive, consumer electronics, industrial machinery and aerospace. For improving efficiency, productivity and saving cost and time, the manufacturers are also focusing on incorporating intelligent processing techniques such as AI into dimensional metrology software solutions. Furthermore, growing demand for large-scale industrial automation by the manufacturing industries, and rapid industrialization are expected to be fueling the global dimensional metrology software market. Along with these, rising demand for improving performance throughout the manufacturing process, increasing need for data management during manufacturing processes, and growing demand for upgrading software for supporting demand of consumers are expected to boost the global dimensional metrology software market. However, the rising cost for incorporating advanced technologies into the software may hinder the growth in the global dimensional metrology software market. Nonetheless, such deterrent may not impact the robust growth momentum of the global dimensional metrology software market in the near term. Many industries are adopting manual and automated machine tools for increasing production activities. The incorporation of 3D printing technology in dimensional metrology helps in reducing the overall production cost. Such technology uses a digital code for creating real time 3D objects. Furthermore, 3D printing helps in simplifying the production of products. It also reduces material wastage. Such USP’s of 3D printing technology is expected to fuel the overall growth in the global dimensional metrology software market. Region wise, APAC is expected to lead the global dimensional metrology software market as the region has witnessed rapid industrialization. Increasing demand for analyzing and understanding the product measurements, and growing need for technologically advanced software in the manufacturing processes could be responsible for fueling the dimensional metrology software market in the region. Some of the prominent players operating in the global dimensional metrology software market are Hexagon, Nikon, ZEISS International, FARO Technologies, and Renishaw.